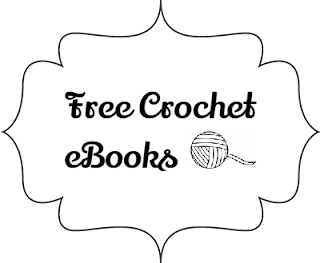 I have noticed a bunch of free ebooks at Amazon for Prime subscribers and I thought I would take a couple of minutes to share a few of them here today. Don't have a Kindle? No worries, all of these books are available to read on multiple devices. Don't have Amazon Prime? I highly recommend it. I use the services daily. It includes access to movies and television shows along with music and of coarse.....free eBooks. There is a yearly fee associated with Amazon Prime service but after you pay that you have so much access to free media. This includes free movies, television shows, original series, commercial free streaming music, and of coarse books like the ones I have listed in this post. If you're looking for a unique way to show the man in your life a little love and appreciation, making him something homemade is always a great place to start. Everyone loves granny squares. They are fast to make a perfect for using up all those little scarps of yarn lying around. Want to learn a new technique. This book on how to crochet the Pink Little Lady Amigurumi Doll Pattern is perfect. I know it's a little late for fall patterns but these cold weather patterns can be adapted to meet your winter needs. Do you know someone with a baby on the way. They would love any of these crochet baby items as a gift for the soon to come bundle of joy. So much variety I just don't know where to start!